Card Rules: Rulings powered by The Netrep API. 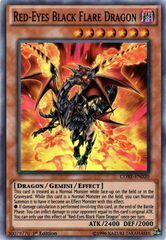 [Re: Bottomless Trap Hole] If the opponent has 'Lord of D.' on the field and activates 'The Flute of Summoning Dragon' to Special Summon 2 copies of 'Blue-Eyes White Dragon', you can activate this card and both will be removed from play. 'Lord of D.' does not protect the Dragons because 'Bottomless Trap Hole' does not target. The same situation would occur if only 1 'Blue-Eyes White Dragon' was Special Summoned, 'Bottomless Trap Hole' still does not target. 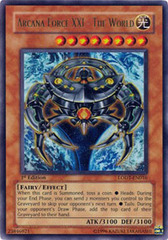 [Re: Burst Stream of Destruction] If you activate 'Burst Stream of Destruction', and the 'Blue-Eyes White Dragon' is removed from the field with 'Interdimensional Matter Transporter' or 'Compulsory Evacuation Device', or flipped face-down with 'Book of Moon', or destroyed by 'Ring of Destruction', 'Burst Stream of Destruction''s effect still resolves. [Re: Burst Stream of Destruction] It is an effect of 'Burst Stream of Destruction' that 'Blue-Eyes White Dragon' cannot attack, so if 'Non-Spellcasting Area' is on the field, 'Blue-Eyes White Dragon' CAN attack. If 'Imperial Order' is activated later, 'Burst Stream of Destruction''s effect is negated and 'Blue-Eyes White Dragon' CAN attack. 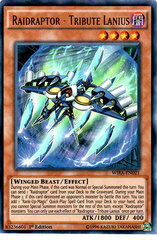 [Re: Burst Stream of Destruction] If 'Burst Stream of Destruction''s activation is negated by 'Magic Jammer', then 'Blue-Eyes White Dragon' can attack. [Re: Burst Stream of Destruction] NO copies of 'Blue-Eyes White Dragon' can attack the turn that 'Burst Stream of Destruction''s effect is applied, even if they are Summoned after 'Burst Stream of Destruction' is played. [Re: Destiny Hero - Diamond Dude] Since you are only activating the Normal Spell Card's effect, and not the Normal Spell Card itself, you do not pay costs and you do not have to meet any activation requirements. 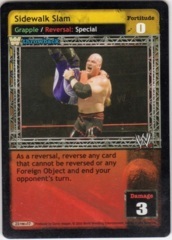 For example, you would not pay 1000 Life Points for 'Confiscation', or discard 1 card for 'Monster Reincarnation', or need a 'Blue-Eyes White Dragon' on the field to activate the effect of 'Burst Stream of Destruction'. [Re: Double Attack] If you use 'Cost Down' so that your 'Blue-Eyes White Dragon' in your hand is Level 6, then you cannot discard it to activate 'Double Attack' and target your Level 7 'Dark Magician' on the field. [Re: Inferno Tempest] If you attack 'Blue-Eyes White Dragon' with 'Ojama Green' or some other 0 ATK monster, you can activate 'Inferno Tempest' after damage calculation. Then 'Ojama Green' is sent to the Graveyard after 'Inferno Tempest' resolves. [Re: Last Turn] You CAN Special Summon a high-level monster that has no Special Summoning restrictions for 'Last Turn', such as 'Blue-Eyes White Dragon' or 'Dark Magician of Chaos'. [Re: Mirror Wall] If you have 2 copies of 'Mirror Wall', and a monster attacks, its ATK is one-quarter. 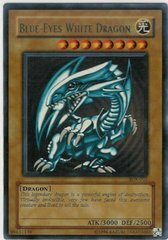 So 'Blue-Eyes White Dragon' would have 750 ATK, for example. If 1 of the 'Mirror Wall' copies leaves play, then the ATK is increased to half (if both copies leave play, the ATK is restored to full.) [Re: Pole Position] If 'Pole Position' is active, and your opponent controls 'Blue-Eyes White Dragon' and 'Skull Servant', and you activate 'Smashing Ground', 'Blue-Eyes White Dragon' is unaffected by Spell Cards, so the effect of 'Smashing Ground' disappears. [Re: Pole Position] If you control 'Dark Magician' and your opponent controls 'Blue-Eyes White Dragon', and you activate 'Flint' targeting 'Blue-Eyes White Dragon', and your opponent chains 'Pole Position', then 'Flint' is equipped meaninglessly to 'Blue-Eyes White Dragon'. If 'Blue-Eyes White Dragon' is destroyed, 'Flint' can be equipped to 'Dark Magician' meaninglessly if you choose (even if other monsters are on the field). [Re: Pole Position] EXAMPLE #2 The opponent has 'Blue-Eyes White Dragon' (3000 ATK) and 'Pole Position' face-up on the field. I have 'Gemini Elf' (1900 ATK), and an 'Opticlops' (1800 ATK) equipped with 'Axe of Despair'(+1000 ATK 2800 total) face-up on the field, and a Set 'Ring of Destruction'. 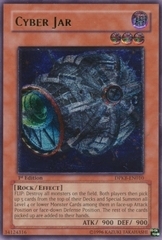 If I activate 'Ring of Destruction' to destroy 'Blue-Eyes White Dragon', then 'Opticlops' will be the highest ATK monster on the field, and cause an infinite loop (it is the highest, it isn't, it is, it isn't, etc.). Therefore, I cannot target 'Blue-Eyes White Dragon' with 'Ring of Destruction'. [Re: Precious Cards from Beyond] If you Tribute Summon 'Blue-Eyes White Dragon' for 1 Tribute using 'Cost Down', you can't activate 'Precious Cards from Beyond''s effect. [Re: Silent Swordsman LV5] If you control 'Blue-Eyes White Dragon' and 'Silent Swordsman LV5', and your opponent activates 'Fissure', the monster with the lowest ATK is 'Silent Swordsman LV5', but it is unaffected by Spell Cards, so the effect of 'Fissure' disappears. [Re: Skill Drain] 'Skill Drain' does not stop you from activating Ignition Effects, but it does negate their effects as long as the Effect Monster remains on the field. If you Tribute 'Cannon Soldier' to itself while 'Skill Drain' is active, 'Cannon Soldier''s effect is not negated because 'Cannon Soldier' is in the Graveyard, but if you Tribute a different monster for 'Cannon Soldier''s effect, then the effect is negated and your opponent takes no damage. Likewise, if you activate 'Winged Minion''s effect while 'Skill Drain' is active, 'Winged Minion' is no longer on the field and its effect resolves. If you activate 'Exiled Force''s effect while 'Skill Drain' is active, 'Exiled Force' is no longer on the field and you can select and destroy 1 monster on the field. If you Tribute 'Paladin of White Dragon' to activate its effect while 'Skill Drain' is active, it is no longer on the field and you can Special Summon 'Blue-Eyes White Dragon'. If you Tribute 'Great Dezard' while 'Skill Drain' is active, it is no longer on the field and you can Special Summon 'Fushioh Richie'. 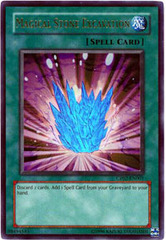 [Re: The White Stone of Legend] When resolving the effect of 'The White Stone of Legend', if you have no copies of 'Blue-Eyes White Dragon' left in your Deck your opponent can briefly check your Deck to verify, unless every copy of 'Blue-Eyes White Dragon' can be accounted for in the Graveyard, Removed Zone, and on the field. (example: If all 3 'Blue-Eyes White Dragon' are in the Graveyard, your opponent does not check your Deck) If a copy is in your hand, your opponent checks your Deck to verify (you cannot reveal a 'Blue-Eyes White Dragon' in your hand). [Re: Waboku] SCENARIO 3: Player A activates 'Waboku'. Player A's 'Blue-Eyes White Dragon' then attacks Player B's 'Sanga of the Thunder'. Player B uses 'Sanga of the Thunder''s effect (during the Damage Step). RESULT: Player A's 'Blue-Eyes White Dragon' (ATK 0) is not destroyed, nor does Player A lose any Life Points, because of Player A's 'Waboku'. Card Text: This legendary dragon is a powerful engine of destruction. Virtually invincible, very few have faced this awesome creature and lived to tell the tale.